Fairpoint plc, owner of national law firm Simpson Millar, has said it is ready for more acquisitions after achieving “double-digit growth” in the last calendar year. In a trading statement, the AIM-listed alternative business structure reassured investors on its exposure to the government’s latest round of personal injury reforms, saying affected cases represented only 8% of its revenues in 2015. Following Chancellor George Osborne’s Autumn Statement, which outlined plans to end the right to general damages for whiplash, Fairpoint shares fell from 195p, to finish the year on 136p. At the time of writing the shares have risen nearly 5% on today’s announcement, to 145p. In the statement Fairpoint said its acquisition of Colemans-ctts last year, which brought with it a legal processing centre, would position it “advantageously to manage [whiplash] work at low cost”. Chris Moat, Fairpoint’s chief executive, said: “Fairpoint has delivered double-digit growth, driven by the strong progress in growing its legal services business, which now represents approximately two-thirds of group revenues. “Having established our legal services platform, the group is well placed to take advantage of the considerable opportunities within this market, both organically and by acquisition. Revenues for part of Fairpoint that deals with debt management plans (DMP) declined by approximately 15% when compared to last year. “This reflects the absence of acquisition activity in 2015 as per our previously outlined plans. Following recent clarification from the Financial Conduct Authority regarding debt management back book acquisitions, we do not intend to resume activity in this field, preferring to deploy capital towards developing the significant opportunities within the Legal Services business, whilst maintaining focus on cost control in DMP. Fairpoint said its debt solutions division also faced “challenging conditions”, with revenue from individual voluntary arrangements (IVAs) also shrinking by 15%. Claims management earnings fell too, with the business moving away from “maturing IVA PPI claims” to newer lines of activity. Fairpoint’s final accounts will be released in March. In a separate announcement this week, Simpson Millar said the name Colemans-ctts had been scrapped, reflecting the “union of both businesses”, following the merger in August last year. A spokesman for Simpson Millar said combined revenues were now in excess of £40m, with “expectations to grow to over £60m in the next two years in line with the firm’s ambition to become a top 50 law firm”. 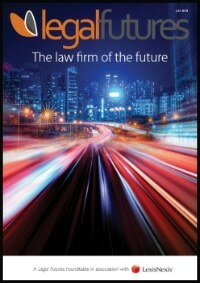 Peter Watson, managing director of Simpson Millar said that while government changes to funding had already made it “much harder” to bring personal injury claims, the merger was “all about creating a firm with the technology and resources to carry on offering an important service to clients – that is what’s needed to do a good job”. Meanwhile, Shine – the personal injury law firm that is listed in Australia – has put a temporary halt on trading in its shares in light of the firm’s announcement yesterday that it is currently reviewing its work in progress “recovery rate and provisioning”, and expects a “material reduction” in the previous forecast for 2016 as a result. As we reported recently, Shine’s share price has taken a battering over the last year, losing more than a third of its value. Boy I bet these guys are happy they didn’t go with Slater & Gordon, what a mess they are in at present. The shares for S&G were $8 in June down to 50c, that’s right they will soon have more debt that good will and pop. Well done to SM and Fairpoint.